Combine Tequila Don Julio Añejo, coconut infused sweet vermouth and chocolate molé bitters into a mix- ing glass with ice and stir. 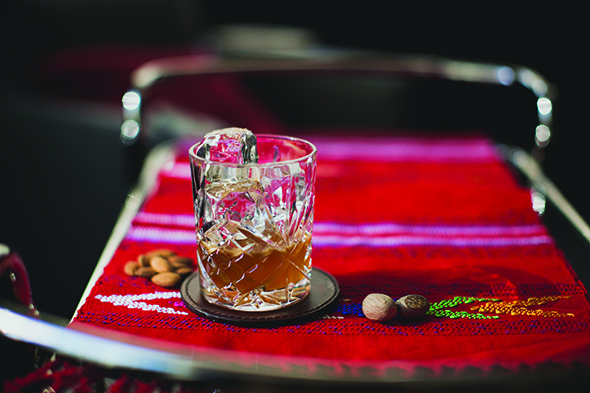 Strain contents into a rocks glass over one large piece of ice. 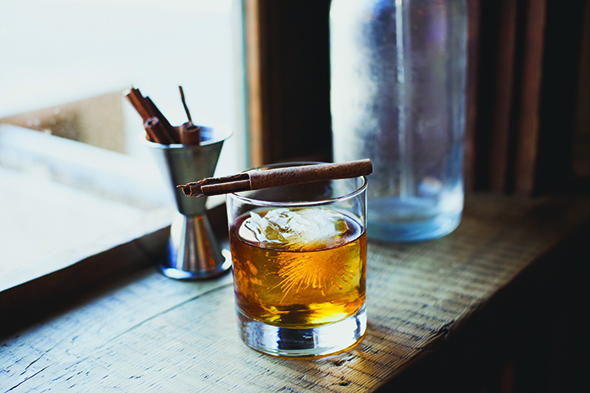 Garnish with smoked cinnamon stick. Add sweetened coconut flakes to a bottle of Sweet Vermouth. Let sit for 2 hours. Strain out coconut and add liquid back to the bottle Label and refrigerate. 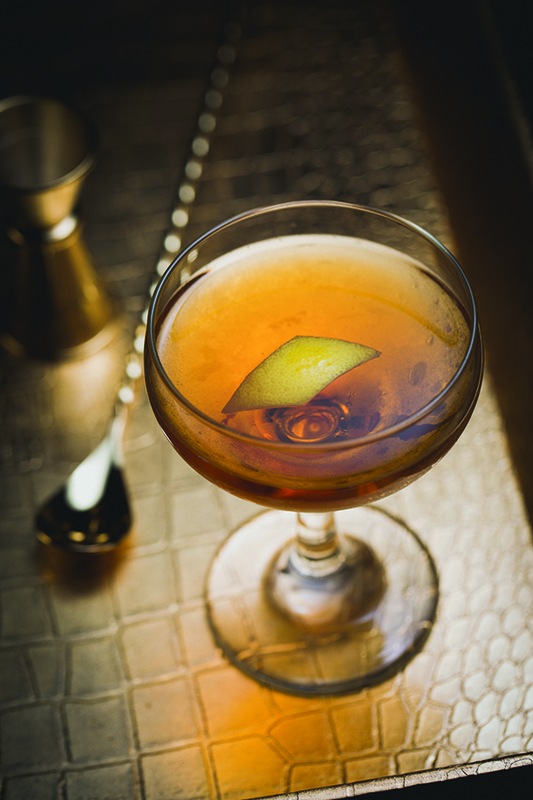 Combine Johnnie Walker Gold Label Reserve, sweet vermouth, dry vermouth and orange cream citrate bit- ters into a stirring glass. Add with cubed ice and stir until chilled. Strain contents into a coupe glass. Combine Zacapa Rum 23, coconut liqueur, angos- tura bitters, almond extract and vanilla extract into a double old fashioned glass and fill with ice. Stir gently. Garnish with grated nutmeg. 1. 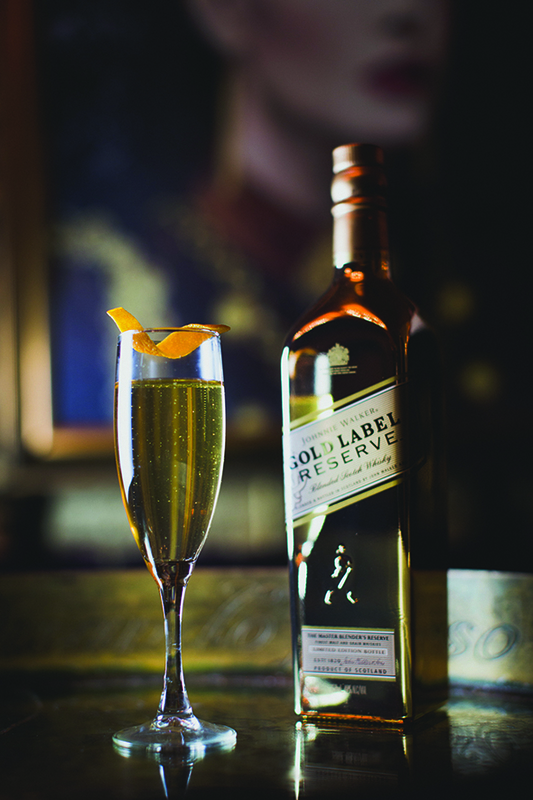 Pour Johnnie Walker Gold Label Reserve, sparkling wine and orange liqueur into a Champagne flute.